The Honky Dory is more of a white water boat than the Beavertail. 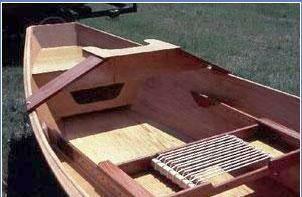 The Honky Dory is wide and stable in big water -- the 15' foot version (made from 16' foot side panels) is 56" inches wide under the oarlocks. Like most traditional Oregon-style boats the Honky Dory is wide up front too. 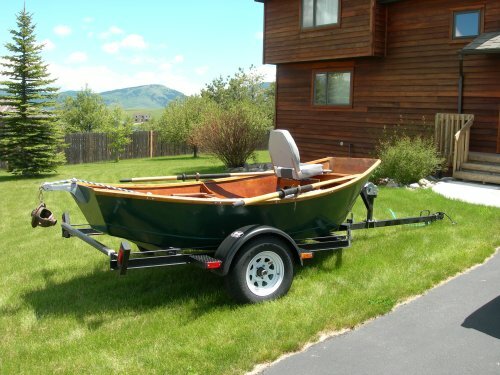 But unlike Oregonstyle boats the HD has a small front deck and movable/adjustable seats so the payload can be shifted forward enough to accommodate an additional fisherman behind the rower. 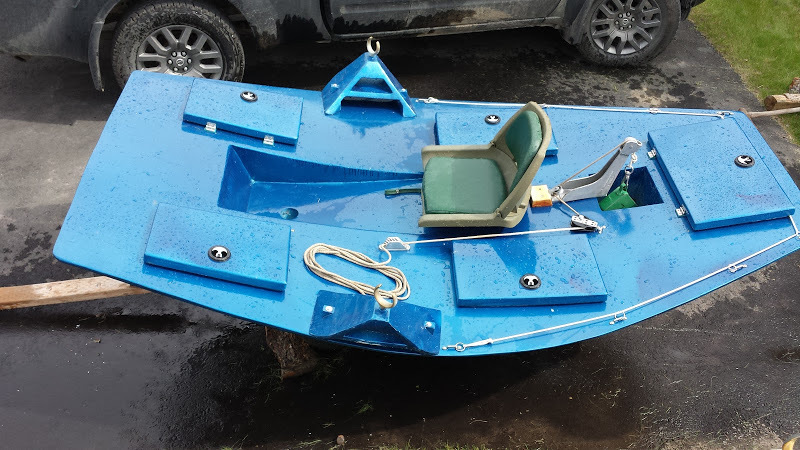 The Beavertail is an easy rowing day trip fly fishing guide boat. It turns well and holds well. 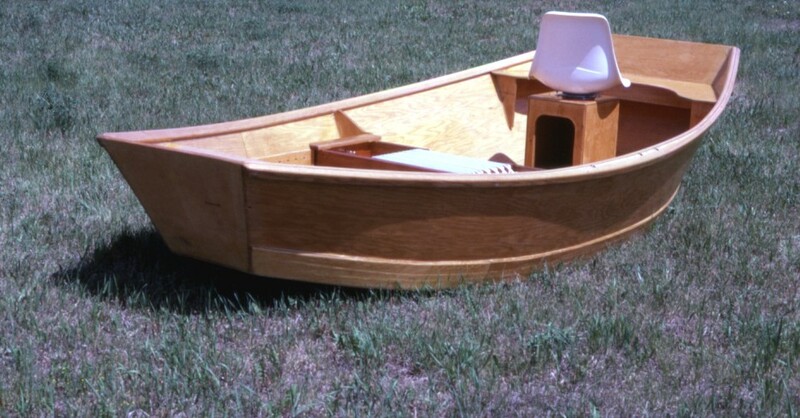 Most important, the Beavertail trims properly with a husky passenger seated behind to rower.Not many boats--from any manufacturer or builder--can make that claim. The buffalo is a standard 15' 48" wide driftboat chopped off at both ends. Unlike a Rapid Robert, which is pointed at one end, the Buffalo Boat is chopped off square at both ends. The idea was to build a short, lightweight pickup truck boat built from the fat business-only portions (the middle) of a standard boat. The Buffalo Boat is now going on 25 years old and still going strong. I love this little boat. Building plans and step-by-step instructions are not finished and perhaps never will be. The diagrams and dimenions are finished however. 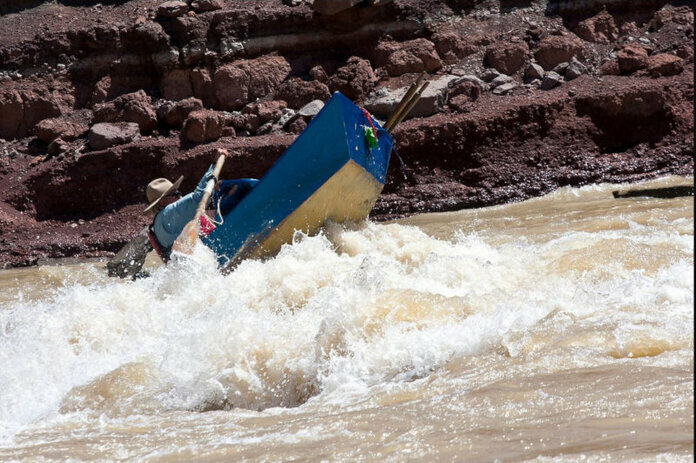 Experienced boat builders can plunge right in. Right now. Beginners should know there will be some problem-solving along the way. The important information is all there. But the step-by-step instructions are not. I'm 69 in 2017 and I've got other things to work on before I'm ...... So maybe it's best to think of this as a freeby add-on to the completed plan sets already available. This little boat sure is fun to row. I can do anything with it. Even head back upstream at times. You can hold it in fast water and turn on a dime. And it sure is stable, even in very big water. 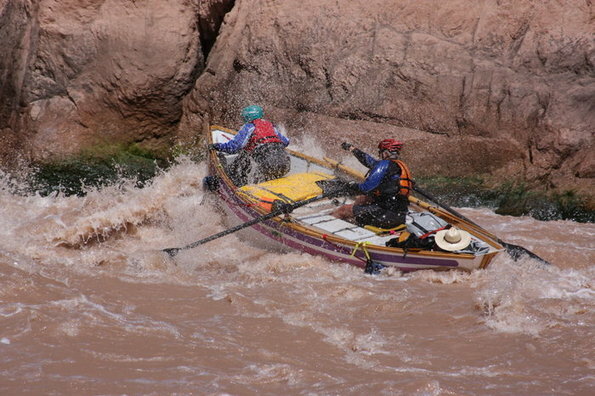 It's a great little white water boat, although I did flip in once, after dropping into an 8' foot hole sideways, like a fool, because I was trying to ferry away from a wave train and didn't see it coming.